The present paper reviews the risks faced by a Japanese car maker in the Australian market. Toyota, one of the leading world car manufacturers, has reportedly faced immense pressures and unprecedented competition in the Australian economy. Toyota is already setting its foot off the Australian economy, and getting its car manufacturing plant shut down in Melbourne, resulting in massive loss of profits in the years to come. Toyota in Australia is one of the oldest car manufacturing companies after Ford, and General Motors made their grounds firm here in the country. Despite, the fact that the company has failed to cope up with the risks arising in Australian automotive industry cannot be denied. The paper discusses the common threats that Toyota is yet to overcome and the opportunities that the company is yet to utilize in the context of ‘project risk management.' The project revolves around the risks about the manufacturing plants of Toyota based in Australia. The risks that are identified for Toyota mostly follow from the periodicals and newspaper articles; while the alternative approaches to managing them are learned from some of the most remarkable journals and books in the field of automotive industry. 2.1.1 Monden, Y., 2011. Toyota Production System: An Integrated Approach to Just-In-Time. 4th ed. New York: CRC Press. As per the views of Monden, (2011), Toyota’s Just In Time (JIT) management system is by far the most innovative form of waste and cost management invested till date. The JIT system of waste management assures that the excess wastes are readily identified in the manufacturing process. The wastes can be in the form of input wastes, spare parts, and other types of wastes which are generated while manufacturing the cars. The JIT system has already helped the company reduce unnecessary costs by capturing the value leakages and all other loopholes in the supply chain of logistics. The book also stresses on the fact that Toyota has gained a patent for the famous JIT system, which has made the company witness profits owing to the core competencies and competitive advantage. Other opportunities of Toyota include its economies of scale, implying that the company can reduce it’s per unit cost by expanding production capacity. Scale economies are the most common yet noteworthy advantages of incumbent firms, and Toyota is undoubtedly an incumbent player in the automotive industry in Australia. 2.1.2 Beer, A. & Thomas, H., 2007. “The politics and policy of economic restructuring in Australia: understanding government responses to the closure of an automotive plant.” Space and Polity, 11(3), pp. 243-261. Now coming to the threats faced by Toyota Corporation in Australian markets, the section starts by specifying the economic and political factors dominating the Australian economy. The journal article of Beer & Thomas, (2007) focusses on the fact that the coalition government in Australia was least bothered to put up some supportive strategies for the Australian automotive industry. Lack of automotive, industrial assistance made the workers protest against the ongoing salary structure of Toyota, like most other automobile companies. Toyota’s President Akio Toyoda submitted a report which states that the company was facing tough competition from the domestic automobile industry in Australia. The government, headed by Tony Abott, showed no signs of support presuming that Toyota needed no such governmental support because cars manufactured by Toyota are mostly to serve the foreign demand. Trade unions and the dominating tendency of the local suppliers and contractors made logistics and supply management Toyota in Australia quite difficult. Finally, the economic conditions of the country seemed to be the ultimate risk factor for the Japanese car manufacturer. The corporate taxes surged unexpectedly and were not in a mood to be relaxed. The coalition government also raised the value of Australian dollar, thereby making the exports sound apparently cheaper and less profitable. 2.2.1 Lamas, M., M. S., Ferrín, Q. & Pardo, F., 2012. Project Risk Management in Automotive Industry. A Case Study. 6th International Conference on Industrial Engineering and Industrial Management, 12(1), pp. 595-602. According to the findings of Lamas, et al., (2012), the competitive automotive industry should be able to redesign its plan of risk analysis and mitigation. Although Toyota has been quite a successful in utilizing the JIT innovative system for the tactful management of costs and wastes, the company needs to apply a more comprehensive approach towards managing the risks. For this, a shift in project risk management plan has been proposed. The traditional project risk management was less efficient because it lacked mechanisms like Response Plan and Feedback Assessment programs. All forms of risk mitigation will go in vain if the existing workforce is left dissatisfied with the work or are without any employee motivational strategy. For this, the automotive companies are directed to implement effective Training Needs Analyses (TNA) which trap all the weaknesses from the employees’ end. The training schedules should be followed by some Feedback Assessment Programs, which show the extent to which the training modules are successful. 2.2.2 Beaume, R., Maniak, R. & Midler, C., 2009. Crossing innovation and product projects management: A comparative analysis in the automotive industry. International Journal of Project Management, 27(2), pp. 166-174. Since the JIT innovation system was first developed by Toyota, the company knows every detail of how to apply this method for cost reduction and waste and time management. Thus, Toyota in Australia could use this as a competitive advantage by reducing per unit cost of manufacturing, thereby controlling the overall cost of production and managing risks. Alternative risk management strategies hint at proper tackling of human capital besides financial and physical capital. The latest approach to managing risks gives particular importance to some of the qualitative risks related to human capital engaged in the company’s workforce. Approaches to risk management also focus on carefully identifying the primary stakeholders that could affect company’s smooth functioning and sales growth. Now, Toyota is well aware of the Australian Regulatory Mechanisms which are very stern in maintaining a pollutant free and minimal environmental degradation while the automobiles are being manufactured. Toyota, should, therefore, abide by all the regulatory norms, or at least get into an open discussion with the governmental agencies so as to convince them about the company’s plan for expansion. The majority of the risks come from unfulfilled objectives of the government, customers and the community as a whole. 2.3.1 Lee, K., 2011. Integrating carbon footprint into supply chain management: the case of Hyundai Motor Company (HMC) in the automobile industry. Journal of Cleaner Production, 19(11), pp. 1216-1223. Risk Identification Process is a vital element of the project risk management. The processes refer to the identification of all the probable fixed and variable kinds of risks associated with the manufacturing of automobiles by the Toyota Corporation in Australia. Here, the risks are not only confined to the manufacturing systems in the automobile plants but also, those that often go unnoticed in the offices. As per the opinions of Lee, (2011), Risk Identification is a never ending process and is thus iterative in nature. This is because the risk identification processes have to be carried out now and then to check whether all the inputs are utilized to their fullest or whether the engineers are working as per the given plan and manufacturing mechanisms. For the automotive industry, the most serious kinds of risk identification are the ones referred to as the Risks in the Systems Engineering Program. 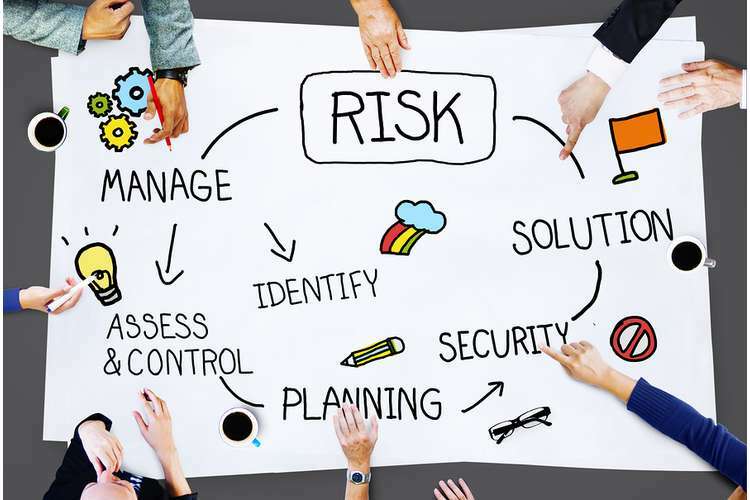 Here, the risks are identified as ‘risk events’ by the managers from work different departments, such as the operational risks, management risks, human capital risks and the supply chain risks. All these risks are identified continuously and are tried to be interlinked with the each other, so as to assure that mitigating one of the risks could help in gradual mitigation of the rest. 2.3.2 Kramar, R. et al., 2013. Human Resource Management in Australia: Strategy, People, Performance.. 5th ed. Melbourne: McGraw-Hill Education. According to the subject matter of the book specified above, Toyota’s risks are mainly related to the company’s failure to fulfilling the stakeholders’ objectives. Meeting the Stakeholders’ interests is one vital underlying factor that decides the fate of almost all the big corporations. Toyota’s stakeholders include Australian government, the governmental agencies and the community where the plant operates. Next, risks are best identified by reviewing the sales reports, cost schedules and the extent to which the management can analyze the current status of the automotive industry. The Risk Review Team was over occupied with the technical methods of risk calculations, overlooking the fact that giant car makers, like Nissan and Volkswagen, already abandoned the automotive industry in Australia. Reviewing the Key Performance Indicators like sales, customer satisfaction, and employees’ work compatibility are associating factors to look at while judging the organizational productivity and risk mitigating capability. 2.4.1 Blackhurst, J., Scheibe, K. & Johnson, D., 2008. Supplier risk assessment and monitoring for the automotive industry. International Journal of Physical Distribution & Logistics Management, 38(2), pp. 143-165. Having identified the risks in the Engineering System Modules, the company now moves on to the next important part of risk management- risk analysis and evaluation processes. After identifying all the probable hazards, the Risk Review Team could be assigned with the task of Risk Prioritization and Analysis where the most serious risks are separated from the nominal risk items and are then subjected to immediate mitigation as per the requirements. Since Toyota Corporation in Australia faces tough legal hurdles from the governmental agencies, the most severe risks come from government’s end. For this, Toyota’s Review Committee could publish annual reports, focusing on the legal aspects such as tax liabilities, tax clearances, and the company’s Corporate Social Responsibilities (CSR) accomplishment. The risks related to excessive manufacturing costs and declining sales need separate mitigation. For this, the Feedback Assessment Teams have to be functional. The feedbacks from customers have to be carefully addressed to by the management. Toyota could also initiate online Customer Review Forums to receive customers’ suggestions, complaints and any other product related query which could help the company to rectify the unobserved issues and loopholes. 2.4.2 Dima, I. C., 2014. Systemic Approaches to Strategic Management: Examples from the Automotive Industry: Examples from the Automotive Industry. 2nd ed. Chicago: IGI Global Publishing House. While explaining the importance of Risk Analysis and Evaluation, Dima, (2014), hinted at the fact that automobile companies often overlook the role of employee motivational strategies. Since automobile companies are mainly manufacturing-oriented business entities, lesser attention is paid to the employees’ satisfaction, their needs and the right to training modules. For this, human capital risks can be evaluated with the help of monthly Training Programs and Employee Initiative Programs, where the operational inefficiencies are trapped and improved by the management team. Risk Evaluation is best done when human capital is properly utilized and motivated. Apart from training and employee motivational programs, the company should also arrange for frequent Post Training Evaluation Meetings, where the employees’ feedbacks related to the trainings are noted and reviewed. In summary, the resources in the annotated bibliography point out to the general risks associated with the car manufacturing project of Toyota Corporation based in Australia. Since Toyota has recently faced tough challenges from rival car manufacturing companies like Ford and General Motors, it is high time the company makes changes to managing the risks immediately. Toyota’s car manufacturing project is also slackened by the strict governmental regulations, political and economic changes taking place in the Australian economy. Other risks arise from unfulfilled stakeholders’ objectives, starting from customers and the community preference towards Toyota’s automobiles. The external sources like journal articles and books were reviewed to grasp a general idea about the probable risk management strategies that are common in the automotive industry. The risks that result due to mismanagement of human capital can be resolved using the motivational programs; training needs analyses (TNA) and proper post-training evaluation processes. The literature related to this particular topic proposed the implementation of a modernized risk management plan which differs from the traditional project risk management plan slightly. In the modernized risk management plan, there is a separate section called ‘risk prioritization and project evaluation processes.' This implies that the automobile companies are directed to carry out intensive post-project evaluation processes which could be in the form of interviews, customers’ feedbacks evaluation, surveys, and reviewing sales report. Beaume, R., Maniak, R. & Midler, C., 2009. Crossing innovation and product projects management: A comparative analysis in the automotive industry. International Journal of Project Management,, 27(2), pp. 166-174. Beer, A. & Thomas, H., 2007. The politics and policy of economic restructuring in Australia: understanding government responses to the closure of an automotive plant. Space and polity, 11(3), pp. 243-261. Blackhurst, J., Scheibe, K. & Johnson, D., 2008. Supplier risk assessment and monitoring for the automotive industry. International Journal of Physical Distribution & Logistics Management, 38(2), pp. 143-165. Dima, I. C., 2014. Systemic Approaches to Strategic Management: Examples from the Automotive Industry: Examples from the Automotive Industry. 2nd ed. Chicago: IGI Global Publishing House. Kramar, R. et al., 2013. Human Resource Management in Australia: Strategy, People, Performance.. 5th ed. Melbourne: McGraw-Hill Education. Lamas, M., M. S., Ferrín, Q. & Pardo, F., 2012. Project Risk Management in Automotive Industry. A Case Study. 6th International Conference on Industrial Engineering and Industrial Management, 12(1), pp. 595-602. Lee, K., 2011. Integrating carbon footprint into supply chain management: the case of Hyundai Motor Company (HMC) in the automobile industry. Journal of Cleaner Production, 19(11), pp. 1216-1223. Monden, Y., 2011. Toyota Production System: An Integrated Approach to Just-In-Time. 4th ed. New York: CRC Press.